On Camera, it has a 48-megapixel Samsung sensor with an f/1.8 lens, a secondary 5 megapixels camera used for depth information. The camera can take photos with its 48 million tiny 0.8-micron pixels in good lighting, or combine neighboring pixels for what’s claimed to be the equivalent of a 12-megapixel photo taken with larger 1.6-micron pixels. and 13MP front-facing camera Packed by a 4000mAh battery with Quick charge 4.0 Support. It comes with USB Type C, audio Jack. Redmi Note 7 comes Gold, Blue, Black colors priced at 999 yuan for 3GB RAM, 1199 yuan, for 4GB RAM and 1399 yuan 6GB RAM. India price is expected to start at Rs 11,000. 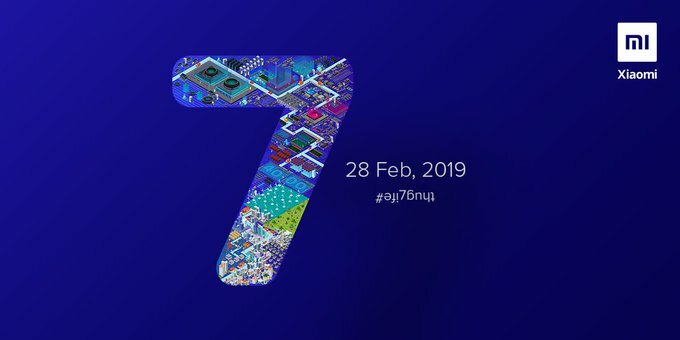 Redmi Note 7 will be Available on Flipkart. Launching on 28th February. Redmi Note 7 Pro: 4GB+64GB; Black, Gradient Blue, and Gradient Red. According to leaked images, Redmi Note 7 camera branding does not show 48MP whereas Note 7 Pro has 48MP AI Camera branding.